Hello, welcome to Subway! That is the loud and warm greeting I get everytime I walk into a Subway store. I love to be greeted that way, especially when I walk in hungry and ready to exchange money for food. One element that has been missing in my interactions with the employees at the fast food restaurants I have been to recently is a smiling face when closing the sale. The service is good because I am hungry and I walked in to buy food but I don’t mind having the food with a smile. I am sure you too don’t mind. Today I walked into a Chevron gas station to buy a Snickers chocolate bar and even though I was wearing my biggest smile throughout my stay in the store, the lady at the cash register did not even make a small adjustment to the depressed and depressing look on her face. I hope for her sake she did not spend the rest of the day with that face. I always spend my money with a smile, regardless of the situation. You would expect those receiving money from you to be happier than you would be. From now on, I am adopting the expression “Can I have that with a smile?” as my way to extract smiles (or laughs) from employees in [fast food] restaurants and [retail] stores. 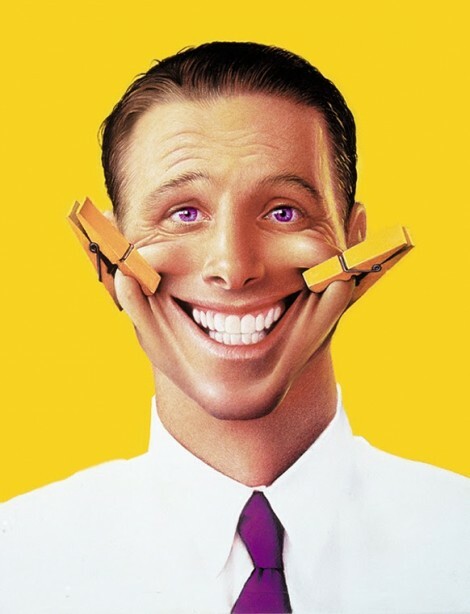 Except for a few exceptions, the cashiers at Walmart really need such a “smile extraction” tool. I will publish the effectiveness and impact of my new tool as I get results from its application. Do you have a specific method you use to get people to give you their smile? Would you share? Thank you!